Which good-paying jobs have the best outlook for long-term growth? Here’s a list of career areas that pay well and seem to have a good future, according CNBC. The good news is that there are jobs for a variety of interests. The only one on the list that does not require 4 years of college is the career of dental hygienist. With only two years of post-high school training, a very nice salary can be had. Also see the link near the bottom of this post for 21 jobs with high pay that do not require college. It’s not too surprising that people with higher math and computer skills continue to do well. Those of us with people skills and patience do well as audiologists, dental hygienists, and occupational therapists. Financial planners combine math abilities with people skills. It can be argued that most workers benefit from having at least some people skills. Here’s the run-down with the jobs in most demand listed at the top. I’ve listed the rounded yearly salary at the top of the range for each job. I added an asterisk (*) by those jobs that seem to be difficult to offshore. That’s just my guess; I could be wrong. Facebook, Twitter, online games, etc. all use software engineers. As new products increase, so will the jobs in this area. If you hate numbers, this is not the job for you. It’s all numbers. Statistics used by insurance companies, banks, and other businesses are provided by actuaries. Yes, the people who hire and fire. The bigger the company or organization, the higher the salary you can expect. After 2 years of training at a community college, you can be making a very nice salary. As the baby boomers age there should be a growing need for dental hygienists. Working in a small town would yield lower salaries than in a city. Again, with baby boomers moving closer to retirement, there will be increasing demand for these well-paid jobs. It seems like everyone I talk to has a financial planner now. This is a good medical career that does not expose you to infection like you might get in other healthcare jobs. You have regular hours and all that quiet has to be very low stress. Also possibly boring, but you can’t have everything. I’d think this would be a very rewarding career for those with patience and an upbeat personality. You can make a huge difference in someone’s life and make a good salary doing it. It’s another healthcare area with little exposure to disease. Mad Men it is not. But it is the growth area of advertising. This is a good area for those with business skills and inclinations. This is higher level computer engineering. I don’t really have a clue about it, but you can research it if you think this might be you. their math skills. For most people it’s just a matter of putting in more time on it. Check out the free online Khan_Academy for good learn-at-your-own-pace free tutoring that many people really like. Just about anybody, including adults, can improve their math and science skills there. It’s so important to do your homework about any job. Talk to people in those jobs now and get information from schools about a career before you commit to a career path. Click here for CNBC’s take on the list. Note that the article is from 2012 and things change in the job market all the time. As of Spring, 2016, this information seems to still be relevant. Click here for the 21 Highest Paying Jobs that Do Not Require College. I’ve been getting questions about welding as a good job. The US Bureau of Labor Statistics Occupational Outlook Handbook ( a good source for all job outlooks) says $36,300 was the median (most usual for all welders) yearly pay. This includes pay for overtime which is common. The negatives include dangerous working conditions including working on high platforms and carrying heavy objects. A positive is that you need only a high school diploma to start the short training program. The government says job growth for welders is slower than for most jobs. Robotic welding is taking away more and more jobs, but there are still situations where a human welder is needed. Click here for more information about what jobs are in demand. Click here for best jobs in 2017 from Money/CNN. Thank you Catherine for clarifying this. In the US a dental hygienist usually has a two-year degree from a community college. Some do have a four year degree, but this is not common here. 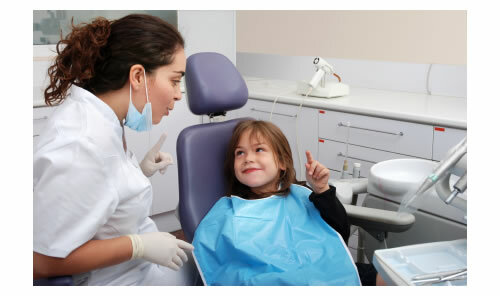 Indeed there is a big difference between a dental assistant and a dental hygienist, as you explained. I did get the two mixed up, so sorry. I will correct it in the post. And yes, a dental assistant can train at a technical school in the US for a year to become a dental assistant, a job that pays much less. My dental hygienist is wonderfully knowledgable. She talks with me about brushing techniques that can help my specific teeth arrangements. She is an important part of my dental health! Dental hygiene must be different in US- though the salary ia similar here, I studied it at a university and completed a degree program. There is definitely no one year hygiene programs in Canada.You can become a dental assistant in one year at college which is significantly different than hygienist. We’re university educated in periodontal diseases,treatment and most importantly prevention. An assistant is just that- an assistant to the dentist and sometimes hygienist, though valuable much less education than hygienist and dentist. I know it’s not how you meant to come off but we’re extremely knowledgeable and do much more than “clean teeth” though it’s what most of the public has knowledge and experience with. TB, making ends meet and living within our incomes is a major accomplishment in today’s economy! Some blue collar jobs pay well, like welders, plumbers, and sanitation workers. Unfortunately many manufacturing jobs are gone, possibly to never return. I see a lot of men have retrained to work in the health care industry. It gets tricky to know what to encourage our kids to do. Well, I’m no where near those jobs! Blue collar work just doesn’t pay like that! Oh well, we’re making ends meet anyway. Yes, it is, Money Cone. Sometimes I hear that manufacturing is coming back. It would be nice, but it’s hard to count on. So many workers don’t have the skills needed now. And many are too old to retrain. At least younger people have a chance to adjust to the new economy. Also, there are other jobs than these. If you click on the labels below the post there are other posts highlighting more jobs in demand. Thanks for you comment, MC. Sad to see the scope for manufacturing jobs shrink.